I hate McDonald’s. It isn’t their politics or reliance on corn as the shining star of every product. (We all make our own dietary decisions, after all.) 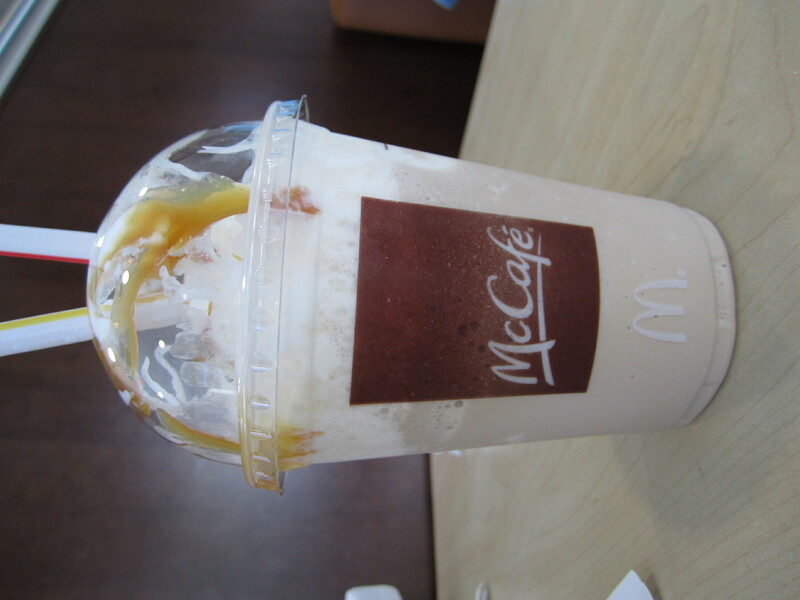 Simply put, McDonald’s food makes me violently ill. I’ve avoided setting foot in one for over a year, but I had to try the McCafe Frappe. Why the Frappe? Well, it looks like one of those faux coffee drinks advertising has tricked me into needing. Is there a better answer? Rest assured, it wasn’t one of these ineffective McDonald’s ads that swayed me. For those of you who don’t live in New York City aka Land of Calorie Counting, I’ll clue you in. The small Frappe is a whopping 450 calories. On Frappe day, plan your meals carefully. So, the taste. My partner in crime said he didn’t think the caramel would taste different from the mocha, so we opted for the caramel Frappe. Like a caramel Frappuccino but sweeter and creamier. A small suggestion of coffee filled my straw, but I’m not convinced “McCafe” is the appropriate descriptive umbrella under which this beverage belongs. It left me feeling heavy and too-full. But I wasn’t violently ill. In that case, you might want to try it.